TLC announced earlier this week that they will be bringing back all of the shows in the 90 Day Fiance franchise in 2018, including the original, Happily Ever After?, Before the 90 Days, and the web series What Now? The announcement revealed no information about which cast members would or wouldn’t be back, so we reached out to our sources to find out what we could about which couples (or individuals) will be making a return to TLC this year. There is also clear evidence that Before the 90 Days‘ Paul and Karine have continued to film for TLC in Brazil. What is unclear is which show the couple will be on as Karine has yet to have her K-1 visa application approved. Fans’ interest in Paul and Karine is THROUGH THE ROOF, and I simply cannot imagine TLC bumping them to What Now? 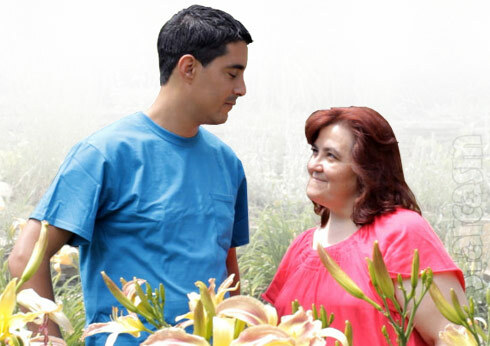 My speculation is that producers will continue to follow them, and if they do manage to get Karine’s K-1 approved, then we will see them on the next season of 90 Day Fiance. If not, then they will either be the first non-married couple on Happily Ever After? or they will return for another season of Before the 90 Days. Of those two options, the second seems more likely as Paul and Karine could mimic what Nicole and Azan did this past season by bringing in return viewers for a show introducing otherwise new couples. Paul and Karine on Happily Ever After? just doesn’t seem to fit at this point. UPDATE – Speaking of Nicole and Azan, we hear that she is filming, but lord knows what for. She posted photos recently shopping for wedding dresses, so of course there are numerous rumors swirling about marriage — both with Azan and potentially someone else. I have no idea what she is doing, and I suspect that neither she nor TLC does either. That being said, Nicole sure is fun to watch so I kind of hope TLC figures out some way to bring her back. At this point, if Azan is involved, it would require yet another trip to Morocco, which I don’t know if fans could stomach. Of course, if there is a Moroccan wedding, then that might make it worth it! (I’m going to predict a Moroccan wedding with lots of drama leading up to it and Azan eventually getting cold feet and bailing at the last minute.) UPDATE – It looks like the Moroccan wedding is in the works! We have sources that tell us Cortney and Antonio have continued to film, although things were apparently tense and they may not appear on screen together. We’re told they are in line for the What Now? treatment. Perhaps they will be combining Cortney and Patrick? Similar to Cortney and Antonio, we’re told Jesse Meester and Darcey Silva are still filming. That lines up with their never ending on-again, off-again relationship drama on social media, which seems completely not believable and MUST be for the show — right?! Darcey and Jesse are huge ratings influencers, but I simply cannot imagine TLC trying to justify putting them on anything other than What Now? Maaaaaaaybe Before the 90 Days Season 2? Especially if Paul and Karine get bumped to 90 Day Fiance. Elizabeth Potthast (of Elizabeth and AndrAAAYYY) posted and deleted a photo that looked to include a cameraman, so I think it is likely we will be seeing them again. I could easily see them replacing their twinsies Loren and Alexei on Happily Ever After? We spoke with another source close to production who tells us David Toborowsky and Annie are definitely filming for Happily Ever After?, which seems like a no brainer given their popularity (as far as inspiring reactions) and David’s lack of baht. In case you missed it, David’s son Jacob was recently involved in a shooting accident, and according to Jacob’s mother, David has taken an active role in helping with Jacob’s recovery and dealing with the investigation. It’s an unfortunate, but very compelling story line, so hopefully show producers will be able to document it and avoid the heavy-handed scripting. UPDATE — We now have video proof that David and Annie are filming as they were captured filming a restaurant scene together in Louisville. click the link to watch the clip and get the deets. All indications are that Anfisa and Jorge will be back, but that is not definite by any means. 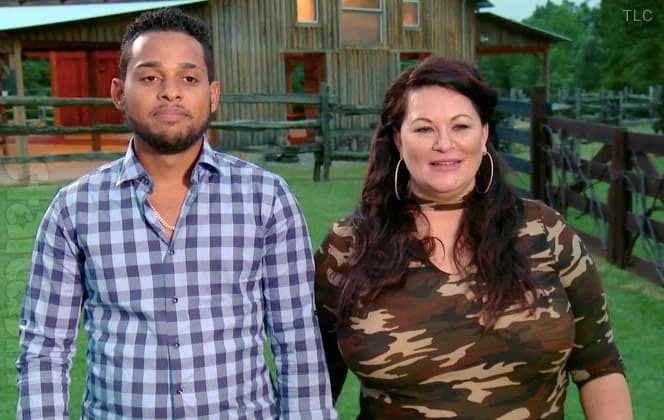 This couple is second only to Danielle and Mohamed as far as popularity, and there’s just no way TLC would let them go without a fight — or without shelling out some big bucks — or both! Anfisa recently stated on social media that she is the show’s highest paid cast member, which sure sounds like there were some major negotiations going on. As a huge fan of the show, #Jorfisa absolutely HAS to be back on Happily Ever After? Amirite? There have been numerous indications that Danielle (of Danielle and Mohamed) is filming as well. I haven’t been able to find any similar evuhdens that Mohamed has been in front of any cameras other than his own, but it is possible. Unfortunately, I just can’t imagine Danielle and/or Mohamed having compelling enough story lines on their own to merit a return to Happily Ever After? There is still a lingering lawsuit filed by Danielle against Mohamed seeking reimbursement for the cost of bringing him over, etc., but that seems like a very weak reason to bring them back as a couple. Then again, DanMo is DanMo! I’d tune in for an entire season just to see another scene with Mohamed selfie sticking himself into court as Danielle and BBF Beth watched on from a parked car. As far as the new seasons of Before the 90 Days and 90 Day Fiance, all we know so far is that production has been filming in the Philippines (again) and…England?! Yep! Strangely, the filming in the Philippines looks to have taken place at the same time as Larry (Before the 90 Days 401k blower and aspiring Youtuber) was there to visit Jenny again, but Larry was reportedly not filmed. Larry not returning jibes with his ability to post spoilerish updates on social media — something that returning cast members are not allowed to do. He has stated on social media that if Jenny gets her K-1 visa and travels to the US, that they would be returning to TLC. There’s no indication how that process is going. We have it from a separate, slightly more shaky source that Molly and Luis will be back as well. They are definitely the heirs to the DanMo dysfunction throne, but I don’t know if their issues will be enough for anything more than What Now? Plus, Luis’ recent rant about suing TLC suggest that he will not be back, so if it is only Molly, then it couldn’t be more than What Now? — if that. Unlike Evelyn Cormier herself, everything is silent about her and David’s future with TLC as well. She has been so villainized by viewers that I wouldn’t think she would sign up for another go ’round, but fame (be it good or bad) can be addictive, especially if you have CDs to sell. It appears as though Happily Ever After? will get a huge cast shake up with a lot of fresh blood. I’m guessing that Danielle and Mohamed, Pao and Russ, Loren and Alexei, and Chantel and Pedro are all at risk of being nixed, although Chantel and Pedro’s families may help them stick around for another season. Of course, TLC has demonstrated in the past that they are willing to test the waters of just how much of this franchise fans are willing to tune in for, so it could be that we see a seriously expanded Happily Ever After? cast with two-hour episodes or something similar. Count me in! We will continue to monitor for casting news, as well as news of when the shows will be returning, so stay tuned! 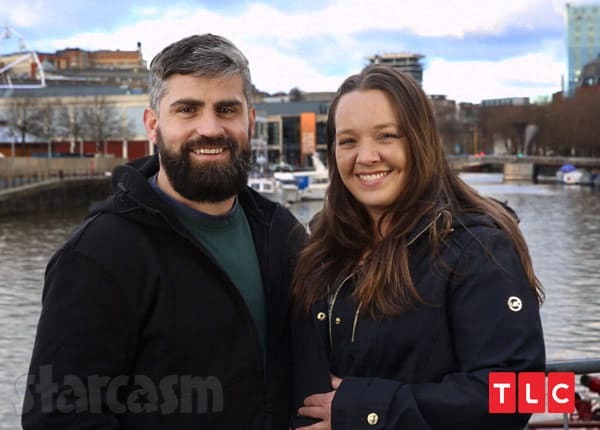 BEFORE THE 90 DAYS Were Jon and Rachel already engaged? Did they have a GoFundMe campaign?